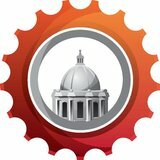 You may receive updates from Saint Paul Bicycle Coalition, the creator of this letter campaign. I am writing to ask you to support implementing bike facilities on Ayd Mill Road as part of the planned resurfacing project. For more than two decades, neighborhood groups and the City Council have demanded that Ayd Mill Road be remade into an amenity for the neighborhoods that surround it. Two separate City Council resolutions, made in 2000 and in 2009, have demanded that the road be reduced to one lane in each direction, with the eastern side of the road reborn as a bike and pedestrian greenway. This section would be the lynchpin of any extension of the Midtown Greenway into Saint Paul. It would create a direct and car-free route from the West 7th area and downtown into the neighborhoods at the top of the bluff, and with minimal investment the greenway could connect directly to popular bike routes such as Summit Avenue. I believe the time has come for the City to finally implement the greenway design, and create an amenity that everyone can be proud of.